Klayman: Giuliani Again Violates Attorney Client Privilege! He and Sekulow Must Be Fired by Trump for Incompetent Legal Representation! 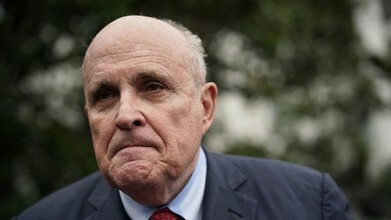 President Trump's personal attorney, Rudy Giuliani, on Sunday said that it's "possible" the president spoke to his former attorney, Michael Cohen, ahead of his congressional testimony. "Which would be perfectly normal," Giuliani said on CNN's "State of the Union." "So what?" "As far as I know, President Trump did not have discussions with him," he added. "Certainly, no discussions with him in which he told him or counseled him to lie."